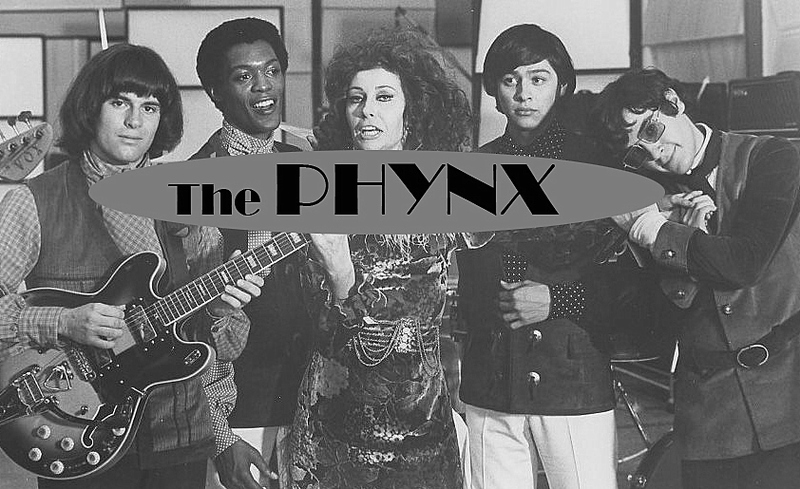 I was so excited when I found out TCM was airing THE PHYNX at 4:00am! I’d heard about how bad it for years now, and couldn’t wait to view it for myself today on my trusty DVR. I wasn’t disappointed, for THE PHYNX is a truly inept movie, so out of touch with its audience… and just what is its audience? We’ve got a Pre-Fab rock band, spy spoof shenanigans, wretched “comedy”, and cameos from movie stars twenty years past their prime. Just who was this movie made for, anyway? This entry was posted in Film, Film Review and tagged Andy Devine, bad movies, Busby Berkeley, Butterfly McQueen, Cass Daley, Charlie McCarthy, comedy, Cracked Rear Viewer, Edgar Bergen, George Jessel, Huntz Hall, Jay Silverheels, Jerry Leiber, Joe Louis, John Hart, Johnny Weissmuller, Lee H Katzin, Leo Gorcey, Louis Hayward, Marilyn Maxwell, Maureen O'Sullivan, Mike Stoller, Pat O'Brien, Patty Andrews, Ruby Keeler, Rudy Vallee, The Phynx, Through the Shattered Lens, Warner Bros. Pictures, Xavier Cugat. Bookmark the permalink.